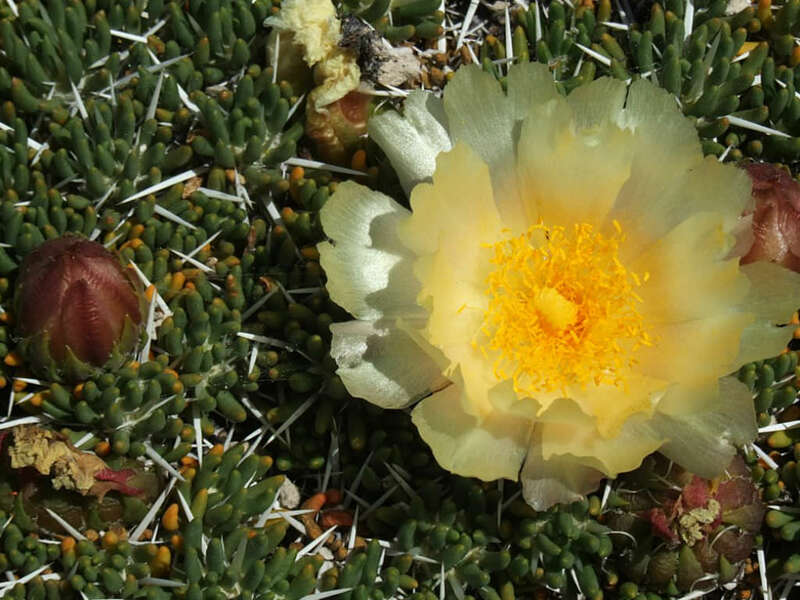 Maihuenia poeppigii is a small, shrubby, much branched, prostrate cactus up to 8 inches (20 cm) tall. 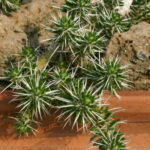 It is hardy cactus that forms large mats of cylindrical stems with small, succulent leaves and white spines, often consisting of hundreds of individual segments. 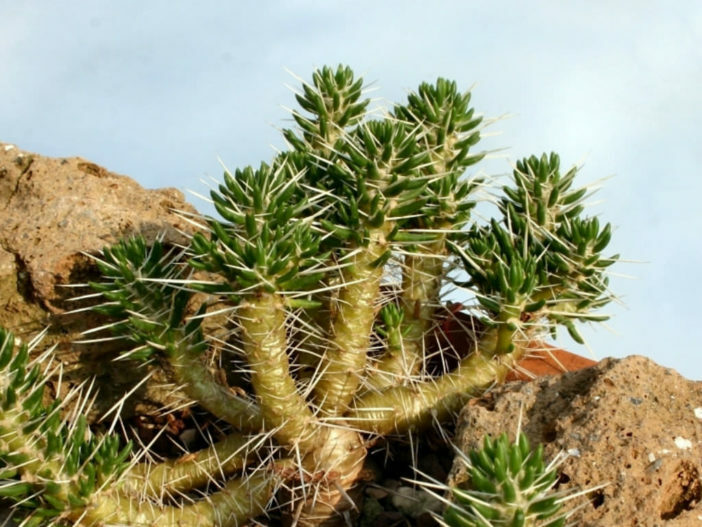 It can grow up to 6.6 feet (2 m) in diameter. 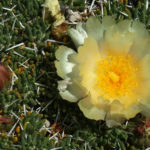 The flowers are very showy, large, satiny and lemon-yellow in color. The edible fruits are oblong, obovate to club shaped and up to 2.2 inches (6 cm) long. USDA hardiness zone 6a to 11b: from 30 °F (−1.1 °C) to 50 °F (+10 °C). 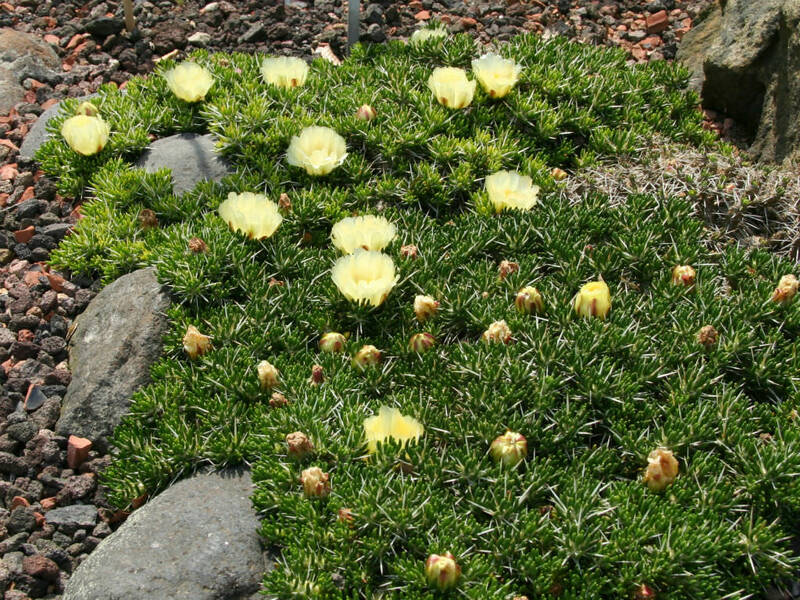 Maihuenia is an easy-to-grow plant. 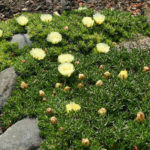 It can survive outside in the garden in the sunny rockery on a sheltered place, but only if it’s protected with a sheet of glass during the wintertime. 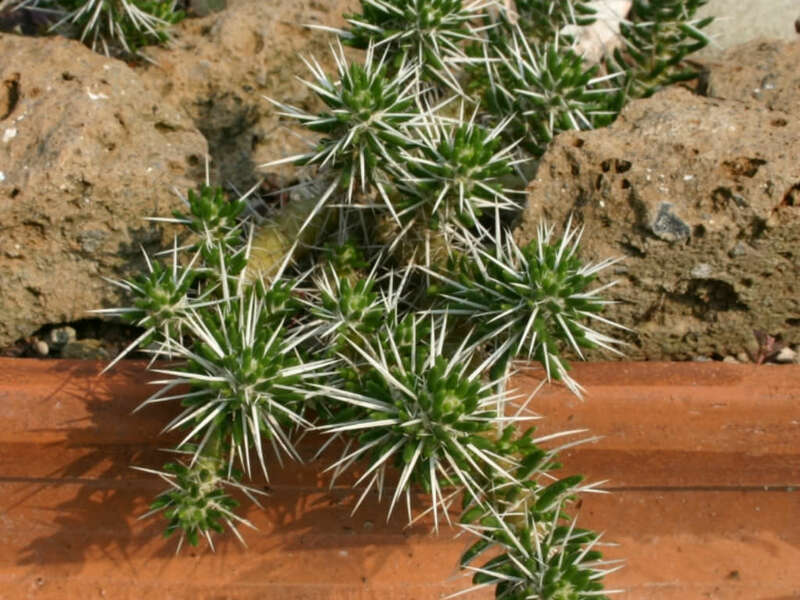 It is also very good for a large pot which can be stored inside an unheated greenhouse or on a balcony, somewhat protected from moisture during the winter, but is probably safest to grow it in the Alpine House or in a raised bed inside an unheated greenhouse all year around, with lots of ventilation. They should not be kept hot in summer as they are from high elevations.